Editor’s Note: This article is an opinion based on facts and is meant as infotainment. Don’t freak out we updated this article for 2019. This is our fourth time ranking the worst suburbs around Atlanta. Not everyone is cut out for city life. Some people would prefer to live in the cities and towns that surround Atlanta. Today, we’ll use science and data to determine which Atlanta ‘burbs need a little tender loving care – the sore thumbs of the Atlanta area if you will. Realistically, you can’t expect all the suburbs to live up to Atlanta proper, although Avondale Estates certainly tries. We examined the 53 biggest suburbs of Atlanta to find out the worst places to live. 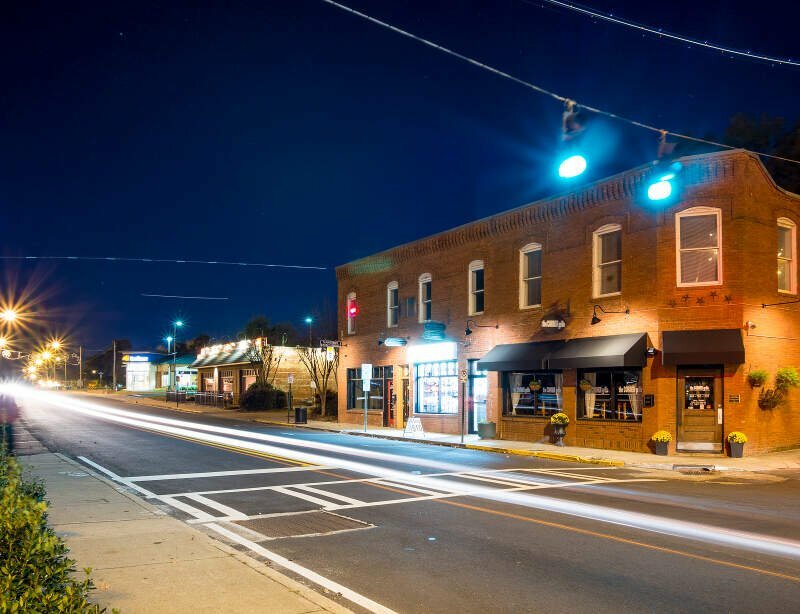 And while you won’t necessarily find them on the worst places to live in Georgia lists, these ten places are a little too far downwind of Atlanta in terms of quality of life. Or, if you’re thinking of moving to elsewhere in Georgia check out the best places in Georgia overall or the worst. And remember, there are some good places to live around Atlanta too. We ranked each place with scores from 1 to 53 in each category, where 1 was the “worst”. And finally, we crowned the city with the worst quality of life index the “Worst Suburb near Atlanta.” We’re lookin’ at you, Palmetto. We’ll get the ball rolling with Palmetto, the absolute worst place to live around Atlanta according to the data. And in the world of worst rankings, Palmetto beat the competition pretty handily thanks to scoring in the bottom 15% in three major categories. Income is the 16th worst in the Atlanta area, and to make matters worse, the city ranks 4th worst when it comes to home values. But hey, at least it’s cheap to live there. But there’s a reason for that… it’s Palmetto. Welcome to Forest Park. Home to KMart, Big Lots, and a lot of gas stations. This city is 10.5 miles to Atlanta. Income levels here are the 4th lowest in the metro area, where families bring in about $33,208 a year, which doesn’t go a long ways even on a shoestring budget. Back up the highway we go for the third worst Atlanta suburb you can live in. You might have expected to see Jonesboro on here. While the cost of living is low, your entertainment and work options are limited. And that’s an understatement. In terms of numbers, it’s in the worst 15% for insurance, and the adult high school drop out rate is poor compared to other Atlanta suburbs. If you live in Conyers, most likely you struggle to make ends meet every month. It ranks as the 10th lowest Atlanta suburb when it comes to residents making money. Not only that, but this is the 10th worst unemployed suburb you can live in if you choose to live near Atlanta. Remember, we looked at 53 cities for this study. Conyers is about 26.3 miles to downtown. College Park has the distinction of being a Atlanta suburb. Which means that’s about all it has going for it. All snarkiness aside, College Park has the 26th lowest home values in the metro Atlanta area, where the median price is $154,700. To put that into perspective, in Avondale Estates, the median income is $125,592, which is the best in the area. College Park has an unemployment rate of 12.1% which ranks 6th worst. Incomes are towards the bottom and the poverty rate sits at 33.0%. Ah, Union City. You rank as the 7th worst place to live around Atlanta. It’s the place with the 5th most out of work residents in the Atlanta metro area (12.2%). Lithonia is a city about 18.5 miles from Atlanta, but Atlanta probably wishes it was further away. It ranks as the 8th worst burb for 2018. You’d be hard pressed to find a worse place to live. 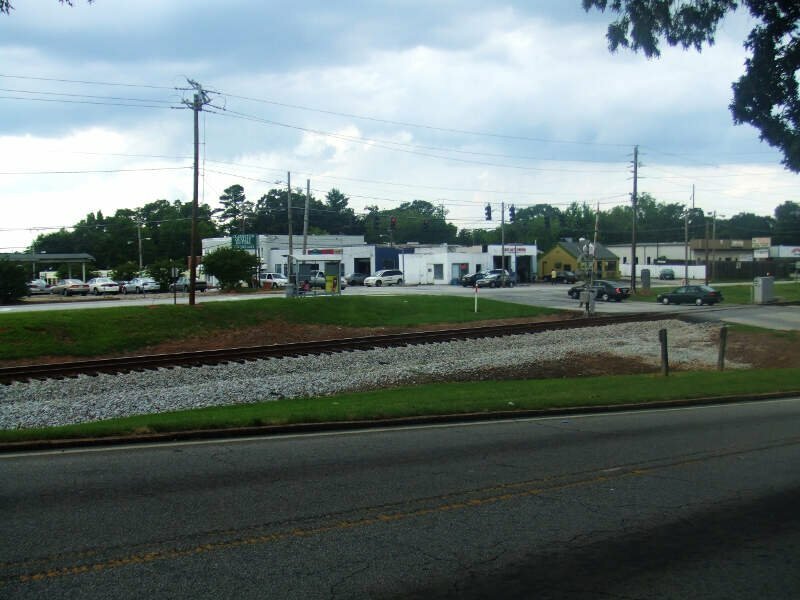 Lithonia has the 27th most uninsured people, 2nd worst incomes, and has the 18th highest unemployment rate (8.6%) in the entire Atlanta metro area. Homes only cost $76,300 for a reason. That’s cheap for Atlanta standards. If you absolutely have to live near Atlanta, then Riverdale might be a place for you to consider as it’s only the 9th worst Atlanta suburb. About 13.2% of residents are out of work. Rounding out the ten worst Atlanta suburbs to call home is East Point. Located 6.9 miles outside the city, East Points is a real pit when you look at the data. Its residents have the 11th highest unemployment rate (10.8%), and poverty is far above the area average. Well there you have it — the worst of the ‘burbs surrounding Atlanta with Palmetto casting itself ahead of the pack. As we mentioned earlier, the suburbs around Atlanta aren’t all bad. Avondale Estates takes the cake as the best place to live around Atlanta. Just wondering if maybe you should tell that 25 years ago Conyers had the lowest crime rate around and the best schools around and was definitely the place to live! Check out the statistics and see whats changed. This was absolutely one of the best places to grow up. Now people cant get away fast enough!! I’m intrigued. What’s changed? Is this coded language? 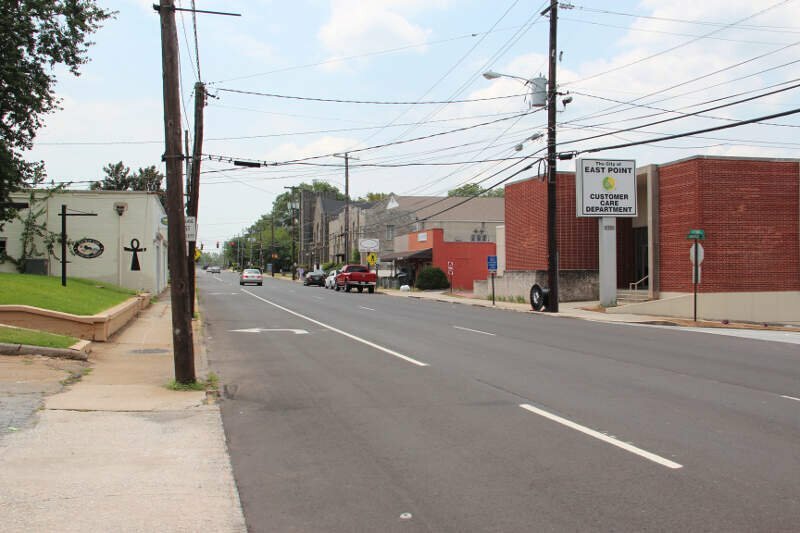 Uncontrolled growth is what killed Conyers. 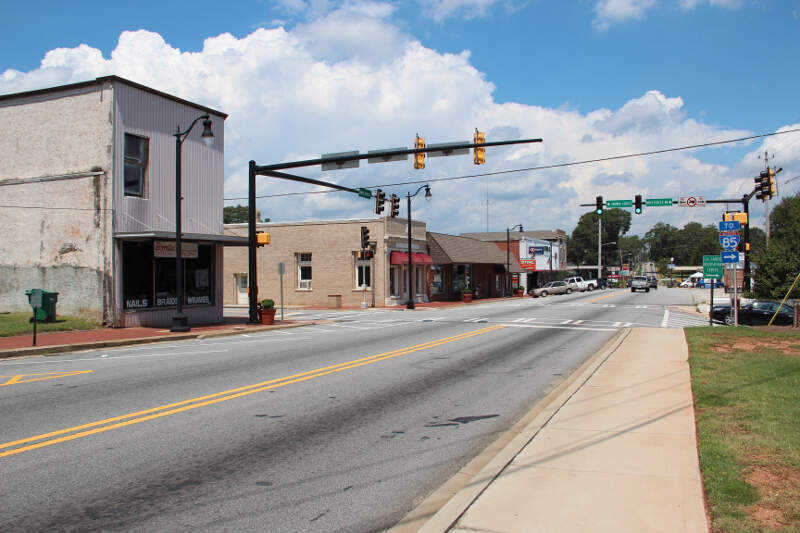 Rockdale county allowed just about any housing development to be built without taking consideration to schools, jobs, public services, and traffic. So you end up with an area full of people without local jobs, with overcrowded schools, bad traffic, and underfunded public services. Basically not a place most would want to live. I grew up there and my parents still live there. I can get better, but it is going to take time and cost property owners a lot more in taxes, something that people never like. You read my mind Jables! Well I live in the city limits of forest park and I can truley say I would rather live here then any other place cause at least if there is a crime commited at least ur not going to have to wait for the police to come if at all…. Cause f.park police never take more than 7 mins to arrive at any call they have to them so at least if their is a crime happening to u or ur property at least u would have a chance of something happening or capturing the suspect. But I guess u dont consider those % when ur naming the worse places to live around the Atlanta area. This is a list used with cherry picked data intended to get the result it did. I would never live in several of the northside communities listed as good because of the massive traffic issues, high cost of living and home prices making it difficult to afford home ownership. A couple decades ago lists like this were produced with similar statistical sets and their publishers were accused of attempting to rank along racial lines. The idea that low home prices is an indicator of a bad place, for example is entirely wrong. In the high priced northern suburbs there are fewer small homes and condos which bring down the average substantially in many southside suburbs. East Point and College Park have high crime rates in a large part because every crime committed at the airport are divided among those two communities. If you report something missing from your luggage, that is a theft in East Point. Millions of people pass through the Atlanta Airport as it is the busiest in the world. Take those crimes and divide by the 34,000 residents in the area and it appears you have massive crime. The truth is the majority of the communities in the area are comprised of nice neighborhoods. Morrow has had 2 murders in 20 years and one was a body dumped by the highway. 20 rapes in 20 years in Morrow, yet it is apparently crime central based on this article. 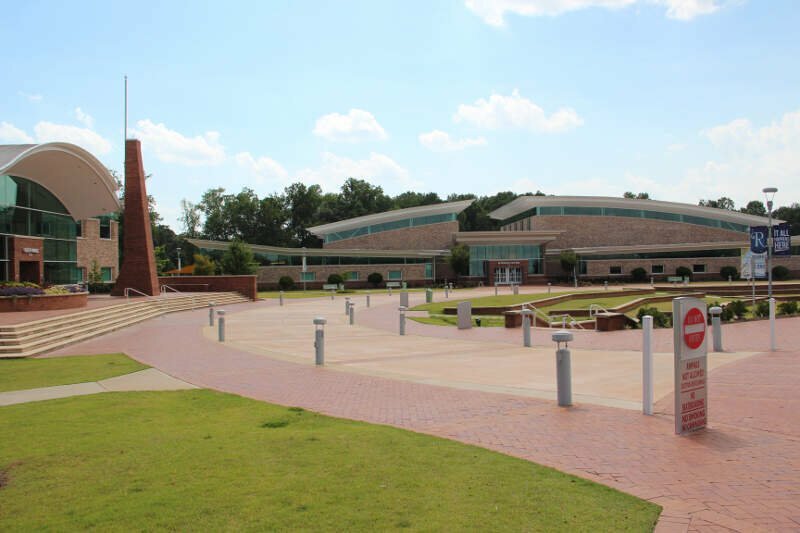 Morrow has one of the handful of Master degree issuing institutions in the state, the National Archives for the southeastern US and the Ga Archives among other things. It is also hurt by the low housing costs, low cost of living, sounds terrible, right? Don’t believe the claim that this is simply based on science, it is more like science fiction. When you start out with a goal and pick the statistics that will support your case, you are not just the messenger. The sources he used ranked many other things he decided were not important to include. Numbers numbers numbers- yet no talk or even mention of what all these communities have to offer. Many of these areas have been struggling and trying hard for years to turn their bad reputations around and you just come in and want to insult and knock them down based on your statistics. Well guess what- life is more than just numbers. I have lived in MANY different areas in Atlanta and I love East Point above all. 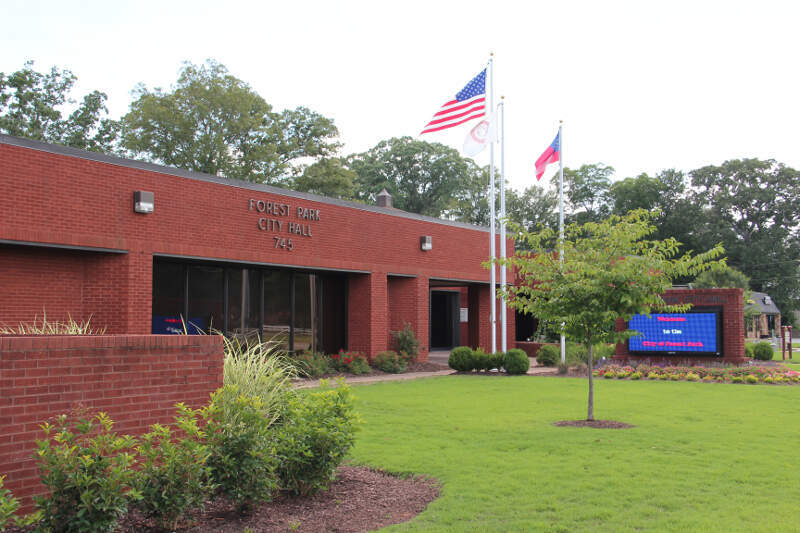 Not just East Point- but the whole tri-cities area which includes College Park and Hapeville. All of these 3 little cities have such a nice small town feel- but with all the amenities of a big city. 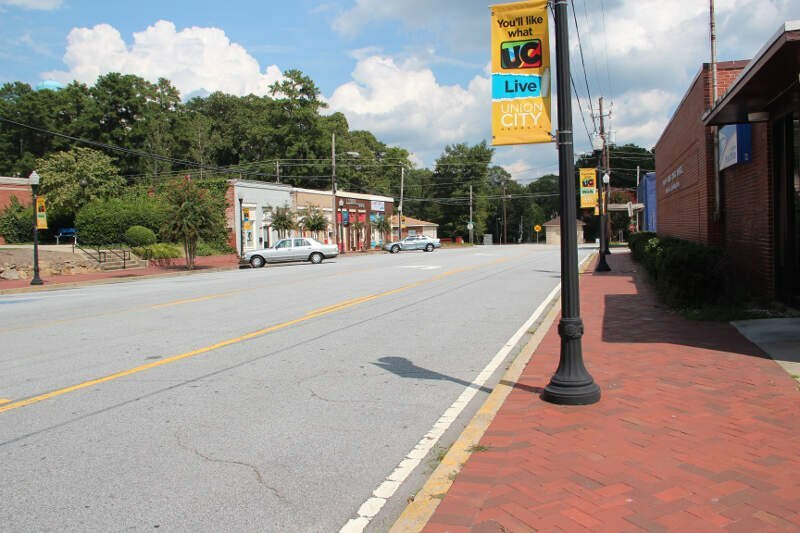 They are abundant with great locally owned shops and restaurants- yet close to Camp Creek shopping center which has all the bigger shops and restuants one could need and a world class liquor store. And Hapeville especially! 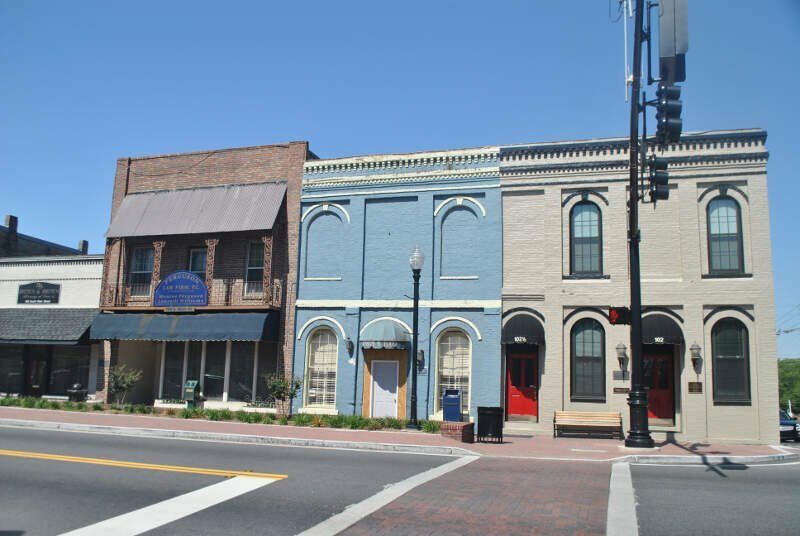 Have you seen how cute downtown Hapeville is these days? Have you seen all the cool street art? Have you been to the small production theatre company there? Have you checked out the cool growler shop Beer Girl with their amazing craft beer selection? We are within minutes of all of Atlanta’s major highways- 5 min from 75 & 85 & 285, 10 min from I20. We are 10 min from downtown (going AGAINST traffic I might add) and short taxi ride to the airport. My mortgage is low (is that a bad thing?). My cost of living is low despite your claim of the opposite- and I’m the one who actually lives here so I think I know. I live on a quiet street with a lot of elderly people. I walk my dogs often late at night and feel completely safe doing so. My husband and I have had only 1 incident in 12 years involving a stolen car radio. Meanwhile my friends who live in Grant Park and East Atlanta deal with crime on a regular basis- one of them having her house broken in to 3xs in 1 year. I shop down in Forest Park and Morrow quite often because there are amazing farmer’s markets and ethnic stores and restaurants- all of whom are owned and run by some of the friendliest most hardworking people you’ll ever meet. You may want to take some of these things in to consideration next time you want to write a list insulting a whole slew communites and the people who live there. I watched it growing up, having kids and looking for a safer place to live. It was like the plague, black people started taking over. When I started High School in Hapeville, we had a couple of black students, good people. The next year it was about 40%, it was like the plague. I moved to Forrest Park, then they came, I then moved to Riverdale, then they came, I moved to Morrow and had a car stolen, stripped to the ground in two days, found on the side of 75, by the stadium. Then to Douglasville. Now I live in Virginia. What a shame. Like I said, it was like the plague. Black population. Who are in jail, come on people, they know it too, it’s a way of life and i’m pretty sure there are most of them who wish it would stop. I know i do. Well this is the VERY FIRST person I have ever seen to be honest or acknowledge the obvious that has occurred. I moved to GA in 1994 to Riverdale and lived throughout Clayton County. Whites continued to move further and further south since the Olympics and it was amazing. Many moved completely out of Clayton to Henry and have now continued South to the bottom of Henry County and this will continue. However, they are kicking many of our people out of certain areas of Atlanta as far down as East Point. I lived in a house near East Point station two years ago to see Whites starting to move back in. And this is obviously happening in Atlanta because of the Beltline. This comment is so blatantly and horribly racist that I can only assume you’re just spewing off this nonsense simply to get a rise out of people. That’s pretty pathetic. Have fun with your obviously boring and hate filled life. Douglasville used to be a nice little city. In the past ten years a move toward section 8 housing to bring in a more Democratic voting block has degraded the city. Douglasville is to Atlanta what Ferguson is to St. Louis. Sometimes it isn’t about the crime numbers but it’s about you. I lived and grew up in Oakland, CA, which at some points had the number one crime rating in the country. Although it was supposedly dangerous, I never felt any danger whatsoever. I lived in all kinds of neighborhoods over my lifetime – from ghetto to upper middle class – and I never felt unsafe (well when I was a kid there was a lot of fighting but I was a good fighter so that didn’t scare me…). I found good people in this city that was supposedly full of criminals – there were neighborhoods that had people who would keep it safe from outsiders who had bad intentions (kind of like the Crips before they went bad). I even lived in the heart of a gang territory, during a time when two rival gangs were blowing each other away – but when people saw me and my wife, they gave us respect because they knew we weren’t into that – but at the same time we didn’t look down on them. Those “violent criminals” kept their crap away from us and we never felt in danger. So I take these types of reviews with a grain of salt – it isn’t people who are any way comfortable with a certain class or income type writing these reviews. They represent the people who lock their doors when they see a black person walking down the street. They are unsafe anywhere they live, because they have prejudices and hatred. I moved to Forest Park before my 3rd birthday in 1953 until 1969, Then after 4 yrs. in the USAF, moved to Morrow in1973 until 1979. During the earlier part of that period this area, like a lot of the deep south, was loaded with racist bigots that thought black people were sub-human. Luckily my Mother was not one of them. With her also working full time she hired a black lady to help with her 5 kids I have many fond memories of this lady and I’m sure she is the reason I grew up with a different view of black people. Looking back. it seems that white people were taught to fear black people so when a black family moved into a white neighborhood instead trying to learn to live together as neighbors, they ran scared. This opened up a lot of cheap housing and enabled black families to afford the “American Dream”.Most of the problems sited in these numbers can be attributed to greedy white officials and their cronies that over developed these areas and didn’t invest back into infrastructure. “What about crime?” you say. We live in a criminal world today.Governments, organized crime, gangs, religious groups, and any one that preys on the rest of humanity. This is all done in the name of their God, and make no mistake the most powerful God today is MONEY. Those with the power to either save or destroy our world have all the money, but that’s how greed works: If they can’t have it, nobody can, Booommm!!!!! WOW! Someone pinch me! A lot of diverse opinions about the suburbs of Atlanta and the safety factor. I’m considering relocating to GA and wasn’t sure where to move to but confused now more than ever. All I have as a reference are the aforementioned comments and the supposedly unbiased, scientific findings of the independents that post these articles. I consider myself unprejudiced but if it looks like a thug, walks and talks like a thug, well guess what!!? ?….And the jails in this country are overloaded with them, the rest haven’t been convicted yet and still out on the streets. Science IS the same as MONEY!….FACT…they’re both KING and we need them in order to survive. I’ve lived in all kinds of neighborhoods too, some safe, some not. Thank God I have choice today and prefer to live where the so-called white race is 75% and higher. So, Popeye8843… where are you going to run when the opiate addicted group starts breaking into your home? Believe me… it will happen! Yup, Clarkston is so terrible, we definitely don’t have incredibly kind neighbors, amazing restaurants, and cheap houses. Please don’t move here and ruin things for us… I mean– subject yourself to the horror….. This article is blatantly based solely on economics and poor statistics. 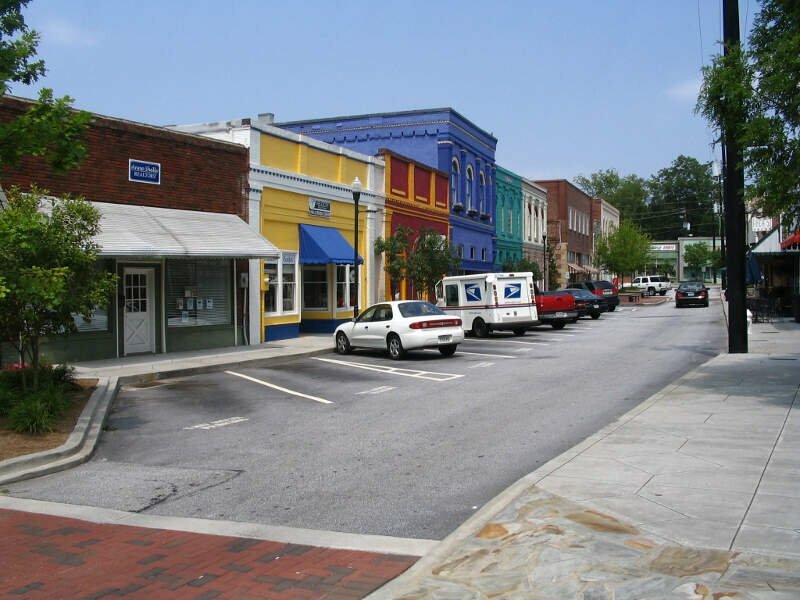 I have personally lived in East Point Ga for 9 years and loved very minute of it. I found a great small house that was affordable on a cudle sac street. The street was so quiet at night if a car drove through my neighborhood it would awake me. Traffic was not a fight and I lived near the freeway to get every where. My traffic woes started when I drove up north to the Buckhead area. Buckhead has a very high crime rates, burglaries, murders, carjackings that seems to be swept up under the rug. This article clearly states that if you live in a high income area with high prices you will have a better quality of life. Based on gentrification, the areas with the best ratings the average person can no longer afford to live there. In every area listed in this article you can find affordable houses and nice quiet streets . I encourage you do not let this blatantly racist article swear your opinion on finding affordable houses in areas surrounding Atlanta. Check out your neighborhoods and look at the statistics directly within that neighborhood. I agree with the previous writer, crime statistics are included with per capita populations and locations, especially the petty crime that is committed at the airport, the busiest airport in the world. Been in jonesboro for 53 years. The whole clayton county area has went down the drain. People who have moved here don’t care. Trash just threw out everywhere, don’t take any pride or respect where they live. Only thing people care about is themselves, what they wear or what they drive. Then complain for the government to clean it up when they have messed it up. Crime which you never hardly ever heard is just got ridiculous. You would think clayton county is a major city, like downtown Atlanta, Chicago, or even New York city. Business leave because of all of this and the county government could care less as long as they get what they want. Schools have lost credidation on several occasions. The governor needs to start by firing every clayton county leader and start over. The truth hurts but it’s the truth. I even called the police on a domestic dispute in a front yard the other day and it took 30 minutes before any showed up. By then someone could have already hurt someone. Couple years ago late one night when I had my son with me there was a man in the yard next door waving a gun. More than 30 minutes again.